Michael and Louise Creaghan share the belief that commitment to family then community is crucial. Both have volunteered extensively throughout their lives and know first-hand that working with others on grassroots projects gives people a sense of caring for their neighbours. Whether it’s through daycare, school organizations, sports, church and volunteer associations, people need to find ways to contribute. They point to the Cathy Wever Elementary School in north Hamilton as a good example of the difference community involvement can make for a neighbourhood. The steps may be small and it may take time to see results, but the approach works. 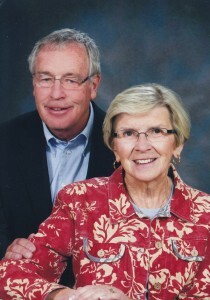 The couple both spent long careers in education in Hamilton – Michael as a teacher and guidance counsellor; Louise as an English and physical education teacher and then, after raising their own children, as an ESL teacher giving young new Canadians 180 min­utes each day of, as she calls it, “fundamental survival English.” After working in many Hamilton schools, they retired together from Sir John A. Macdonald Sec­ondary School in the downtown. It’s natural that their philan­thropic passion is helping nur­ture community vitality. The Creaghans approached Hamilton Community Foundation with a general sense of what they wanted to do through their fund: provide support to organizations that are building and improv­ing the community. To achieve this, Michael and Louise rely on the Foundation’s research and knowledge to propose specific projects that target community priorities. “The Foundation staff identify urgent needs and present them to us, knowing the kinds of change we want to support,” says Louise. Examples of their contributions include support for the Native Women’s Shelter renovations and the Neighbourhood Leadership Institute that HCF has launched to encourage and train local grass­roots leaders. As Michael points out, their investment has often been the catalyst for others to provide support as well. The Creaghans rely on the skill and sensitivity of the Founda­tion’s staff, their in-depth knowl­edge and understanding of com­munity needs and opportunities. They also commend Hamilton Community Foundation’s ability to provide co-operation and lead­ership to other organizations in a non-partisan way.